Remember, on the 20th of February, a wonderful initiative called #1000Speak kicked off? It was during this that I reconnected with Galit Breen, a wonderful blogger. In her post for last month’s #1000Speak, Galit mentioned her experience with being bullied online and how indirectly it resulted in her writing a book. I had read about Galit’s terrible experience earlier and admired her approach and the equanimity with which she dealt with the situation. When I heard that the theme for #1000Speak this month is ‘Building From Bullying‘, I knew I had to interview Galit and share my review of her book. If kindness wins, accountability rules. The need for this mantra is never clearer than when scrolling through posts and comments left online. Approximately four out of ten kids (42 percent) have experienced cyberbullying. When we were young, our bullies weren’t usually strangers. They were the kids who passed mean notes about us in class, the ones who didn’t let us sit at their table during lunch, and the ones who tripped us in the hallway or embarrassed us in gym class. Cyberbullying isn’t all that different from the bullying of our youth and nightmares. But with social media, our bullies have nonstop access to us–and our kids. In fact, we’re often “friends” with our bullies online. When freelance writer Galit Breen’s kids hinted that they’d like to post, tweet, and share photos on Instagram, Breen took a look at social media as a mom and as a teacher quickly realized that there’s a ridiculous amount of kindness terrain to teach and explain to kids –and some adults– before letting them loose online. So she took to her pen and wrote a how-to book for parents who are tackling this issue with their kids. Kindness Wins covers 10 habits to directly teach kids as they’re learning how to be kind online. Each section is written in Breen’s trademark parent-to-parent-over-coffee style and concludes with resources for further reading, discussion starters, and bulleted takeaways. She concludes the book with two contracts –one to share with peers and one to share with kids. Just like we needed to teach our children how to walk, swim, and throw a ball, we need to teach them how to maneuver kindly online. This book will help you do just that. What genre is your book? Is this your favorite genre? is a non-fiction how-to focused on parenting, tweens, and social media. I read more fiction and YA than I do non-fiction, but I love every single one of the genres and topics that Kindness Wins falls under. Does this have relevance in your personal life? I wrote this book to create a guide for parents, teachers, youth groups, etc. to use for teaching our kids how to be kind online. I think this can and should be taught. I used my work in social media to inform what needs to be taught and I used my background in teaching (I have an MA in education and I was a classroom and reading teacher for 10 years) to guide the how-to portion of the book. We’ve read enough of real-life stories of children being cyberbullied. And it’s awful. But what of the bullies? They are somebody’s children too. Perhaps their parents don’t realize that their children are bullies. Perhaps these bullies were not taught online behaviour and don’t realize the consequences of what seems to be harmless and sometimes anonymous activities. This is where Kindness Wins offers a solution. Galit Breen has created a most necessary guide for parents to teach their children digital kindness. In a very practical and gentle manner, using real-life examples, and some great graphics, Kindness Wins can help parents to discuss healthy online behaviour with their children and teach them how to be polite, kind and considerate in the digital world. I would recommend this book to all parents whose children are starting to use social media. 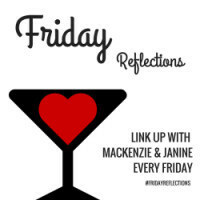 I’m also linking into #FridayReflections hosted by Janine Ripper and Mackenzie Glanville. I’m so glad to be connected to them! I’ve heard really good stuff about this book. I can’t wait to read it and share it with my daughter, who had had a lot of bullying to deal with. Great post, and a book that is very needed. Too many kids are turned loose on the internet with no instruction, and little or no monitoring. This was a good interview and bravo to Galit for writing this book! 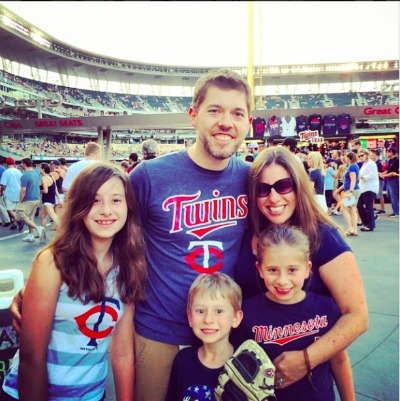 I recently wondered in my own blog post why parents didn’t step up. Gail has stepped up. Kudos and what a great book. Sharing. There are constant headlines in the news about young people suffering and even dying due to cyber bullying. This is a great initiative by Galit Green and should be read by every parent! I’ve encountered my share of adult cyber bullies in online forums as well. These people are unhappy in their own lives and seek to drag others down to their level. Thanks for this great interview! Hi Debbie! I am so with you–this is a hot topic that *should* be on every parents’ mind! I’m sorry that we share the having-been-cyberbullied thread, but it’s truly so very nice to connect with like minded people. Thank you for this note, it’s lovely to “meet” you! So happy you linked up with us this week and glad we can support such an important issue! It is scary what goes on, and upsetting and also disappointing that people can be so cruel to one another. I have a 10 year old and she has been quite sheltered from social media so far. I realise her world will change very soon and it is great to have resources available to help prepare parents, guardians and tweens. Hi MacKenzie, I really love your comment for how open it is! We all need help as we maneuver this as it’s new terrain for all of us–we’re the first generation of parents raising digital kids! Like you, I love knowing that we can turn to each other for the help and support we need! Wonderful to “meet” you! Lovely interview for such an important book, Corrine! Thank you for sharing this I will definitely be on the look out for Galit’s book. With an 8 years old, who knows how the internet will be like when he starts using social media so I think it is safer to start reading now. Hi Janine, you are so spot on with how fast they dive in! We have to go with them so we can help them maneuver! We’re lucky that we’re already online, right? Thanks so much for this note, I love finding like-minded parents to connect with! It’s so nice to “meet” you! Brilliant interview – well done both. And what a GREAT book, and so perfect for this topic. YAY! I wish you every success, Galit, and I hope that it makes a huge, positive difference for people. Oh Lizzi, thank you for this lovely note! Connecting with women like you who are like-minded and believe that kindness and compassion make the world go round, well it’s a lift, that’s for sure! Thank you, again, truly. Hello Corinne, it’s been a while since we connected. Delighted to see you highlighting this issue. As a teacher I used to deal with issues of bullying on a regular basis. Cyber bullying makes it even more difficult. Parents I am sure are screaming out for a book like this to help them prepare their children for social media. It is a huge worry for them. From one former teacher to another, hello Mary, it’s lovely to “meet” you! I’m 100% with you–parents (and teachers!) need support with this topic; it’s just too big to tackle alone! Thank you so much for featuring this book. I have a co worker with a teenaged daughter. When this daughter was in middle school (usually grades 5-8 here in the States) one of the daughter’s friends committed suicide due to being cyberbullying. It was so tragic. I am grateful my son was that age before social media came on the scene. I’ve heard so many stories about cyberbullying from co workers. And, it happens to women who dare to be active on Twitter (search”Ashley Judd”) , too – horrible tweets they receive, that can’t be mentioned here. It makes me wonder how many of those inappropriate tweets come from pre teen and teenagers whose parents are totally unaware of what their children are doing. Oh Alana, I’m so sorry to hear about your co-worker’s daughter. I’m holding space for that sadness and her memory! We can do better than this, right? Better than kids who are victims and senseless cruelty seen as “ok” or everyday. I love that Ashley Judd is standing up to this. That’s what we all need to be doing, teaching, modeling. Thank you for this thoughtful note, I’m truly grateful for having the chance to read it. With the rise of social networking sites and its wide usage by teenagers and YA, cyber bullying is on the rise. And it can have some serious scarring effects on the victim. Thanks for sharing about this book, Corinne, I plan to check it out! So true, Shilpa. You must check out the book. I’m sure you find it useful with Aaryan. Hi Shilpa, you’re absolutely right about the effects of cyberbullying on our kids. They can feel so alone, but we can fix that (or at least do our absolute best to try!) by being there with them, being aware of what they’re experiencing, and–most importantly–opening these conversations with them. It’s truly lovely to “meet” you here at Corinne’s! Thanks for the interview, Corinne.. this looks like a must have book in these times.. Cyber bullying is very prominent thing these days and not much is being done to fix that.. I enjoyed reviewing the book, Roohi and I do believe it is a must have book for parents. Hi Roohi, thank you so much for this note! It really struck me when you wrote “not much is being done to fix that.” If we feel this way, imagine how our kids who are being victimized must feel! So scary! It gives me hope that we’re having these conversations! So nice to “meet” you! Ohmyheart, Corinne! I can’t thank you enough for letting me share your space today! The image of you and I side-by-side saying–shouting?–kindness wins gives me goosebumps! What you wrote about “But what of the bullies? They are somebody’s children too” truly gave me pause. YES! It’s our job to take care of all of our kids! Thank you, again, so much!